Hey there! It's Trish here from the Perth-based fashion blog Le Fanciulle with a guest post for my new go-to online destination! 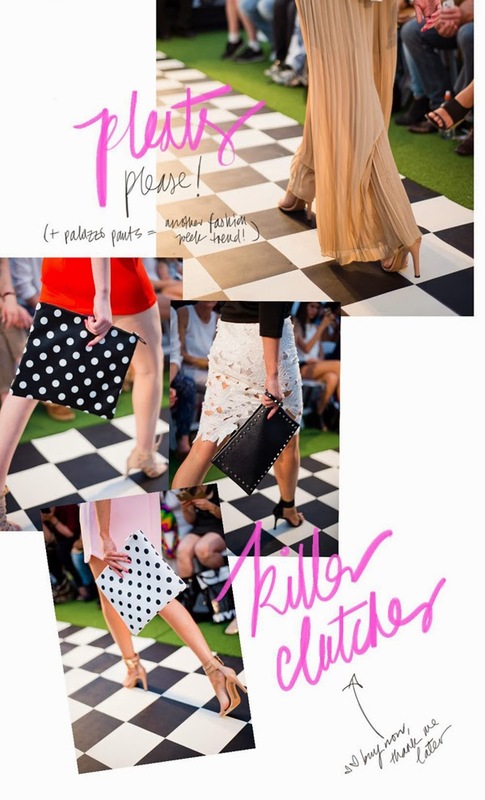 If you hadn't already seen, Hello Parry rocked the runway a couple of weeks ago at the Telstra Perth Fashion Festival with an impressive array of looks for Spring & Summer. Flanked by concurrently-running SS/15 collections from international fashion festivals, I was excited to see HP keeping up with the sartorial offerings & continuing to deliver the fashion-forward looks (as if they had been borrowed straight off the NYFW runway!). Check out my short edit below featuring some of my favourite outfits and key looks for this Season. If you've got the moxie to stay ahead of the fash-pack, you'll need the clothes to match! Congrats to Sandy & her crew for putting on such a fun show - there are plenty more looks, but it'd be too long to post all the photos!